Do you place too much emphasis on other people’s opinions of you? Do you wish you could shed your fear of what other people think of you once and for all? If you are ready to be liberated from the grasp of public judgement, then stick around . 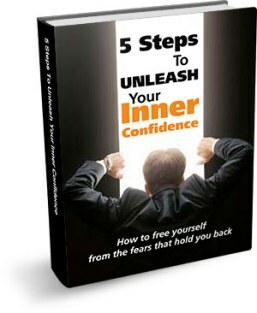 . . because today, I’m going to share a powerful tool that is going to help you radically shift your mindset and free yourself from unnecessary fear. 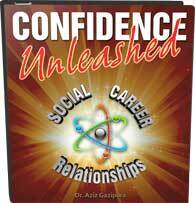 Nothing cripples our confidence more than being overly concerned with what other people think of us. As simple a concept as this is to understand, it is also a difficult obstacle to overcome. For the most part, I have always taught that the best and quickest way to combat self-consciousness is to look the demon in the face and plow through the discomfort. After all, in order to overcome our fear, we have to face it. The problem is that taking that first step can be terrifying, filled with tension, intimidation, and anxiety—and that fact makes subsequent attempts even scarier. So, what is that initial fear based upon, and how can we mitigate it to allow ourselves the freedom to take big risks with less anxiety? Usually, when we’re afraid to do something, it’s because we believe that thing to be wrong in some way. For one reason or another—it’s inappropriate, embarrassing, difficult, or risky—we’ve received tiny signals and messages throughout our lives that teach our subconscious to scream, “DANGER,” whenever we’re about to embark on certain endeavors. Whether society, our friends, or our families have conveyed these messages, the result is that we tense up and immediately question our actions any time we take a risk. The only way to shift your mindset in these scenarios and break free of the tension that’s stunting your progress is to understand that what you’re doing is not wrong. Huge chunks of society have restricted their beliefs and behaviors based on outdated mores that are mentally and emotionally unhealthy . . . and you don’t have to buy into it. When you give yourself the freedom to look outside of the restrictive mindset of your cultural or societal bubble (and really consider a broader context), you will see that your actions are perfectly acceptable. o Well, who says that I need to make more than I have? I have a roof over my head, food on my table, and clean clothes on my back, which is more than the majority of people on this planet can say—this pressure to do more and more is ridiculous. o Well, what’s wrong with my body? Our society inundates us with non-stop advertising for fast food and loads our processed foods with salt and sugar, yet it also places models on a pedestal and creates a culture of worship around those who are basically able to starve themselves—it’s insane! o Well, this is a tough time to be single—between social media, dating apps, apps for hooking up, trying to be respectful of the other person’s needs, and navigating a world in which we all have our heads buried in our phones all day, it’s a miracle I haven’t given up altogether! I’m doing my best, and I’m proud of my progress so far. For me, this big realization hit when I started going to Burning Man: I’d spent my whole life assuming that it was bad to be too familiar with strangers or to dress and act differently from everyone else around me. Once my eyes were opened to a different reality, however, I began to wonder how we’d all become so closed off, angry, and hostile toward one another; I began to realize that by bringing a more open, responsive, and friendly demeanor to the table, I was actually introducing society to a healthier option; by putting myself out there, I was actually bringing value to the world. When you make a joke, or give someone a compliment, or speak your mind, or share a part of yourself that’s meaningful to you, there is no reason to be ashamed or assume that it is wrong. If people want to judge you for the positive and healthy things you are doing in your life, then so be it—but you don’t have to buy into their way of thinking. Have the courage to look at each situation objectively and really ask yourself whether there is anything to be ashamed of. In time, you will find that this tiny bit of perspective will liberate you, allowing you to open yourself up and be who you truly are in the world. Please feel free to share your thoughts regarding this subject in the comments below. Are you struggling with society-induced shame? How has this affected your view of socializing and your approach to the world around you? What steps have you taken to become an objective observer, and how is that working for you? As always, I also encourage you to subscribe to this channel so that you can receive content as it’s released. Until we speak again, may you have the courage to be who you are, and to know on a deep level that you’re awesome.